‘America’s News HQ’ political panel reacts. 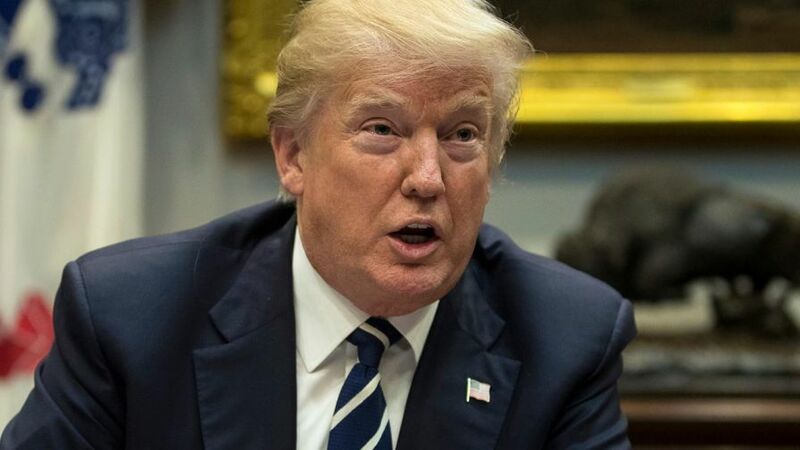 President Trump on Sunday accused The Wall Street Journal of “falsely” reporting him saying he has a “good relationship” with North Korean leader Kim Jong Un and publishing so-called fake news because the newspaper wanted a big story. Trump also said he has proof that the newspaper mischaracterized his remark because the White House records his interviews with reporters. The Wall Street Journal and the White House have each released an audio tape of the interview. But it’s unclear on either whether Trump says he does or would have such a relationship with Kim. The relationship between the United States and North Korea has become increasingly tense since Trump took office and assumed a hard line against Kim’s pursuit of a nuclear arsenal. Trump also suggested Sunday that any efforts to make permanent protections for illegal immigrants under the Obama-era Deferred Action for Childhood Arrivals, or DACA, are over because Democrats are not really interested in negotiating. “DACA is probably dead because the Democrats don’t really want it, they just want to talk and take desperately needed money away from our Military,” the president tweeted.